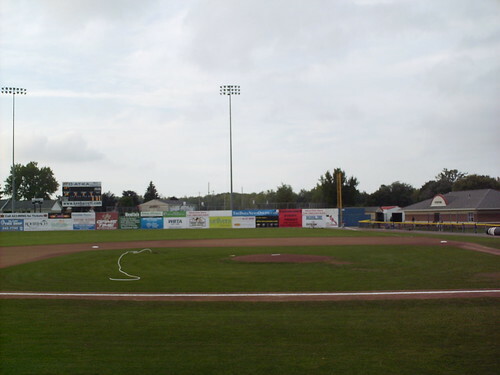 The view from behind home plate at Dwyer Stadium. 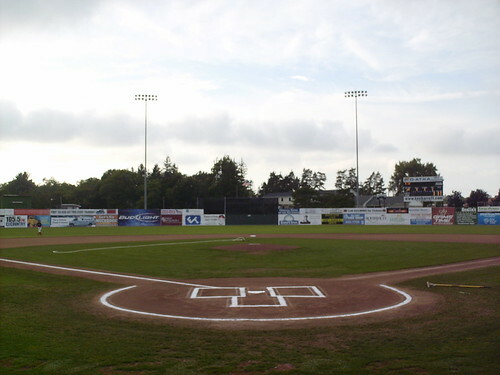 The outfield. The wall is fairly uniform all the way around. 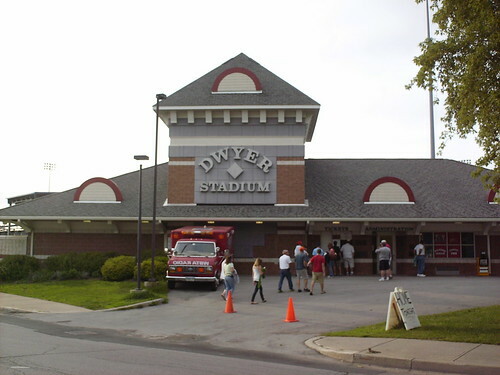 The grandstand at Dwyer Stadium. 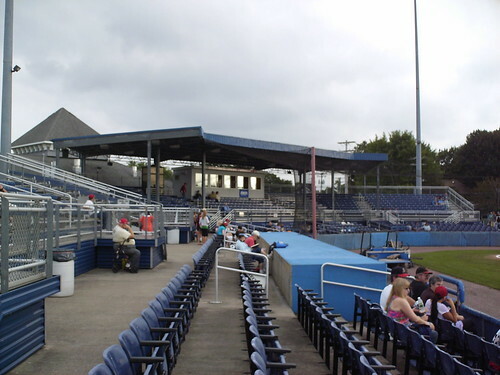 The pressbox is located underneath the covered area. 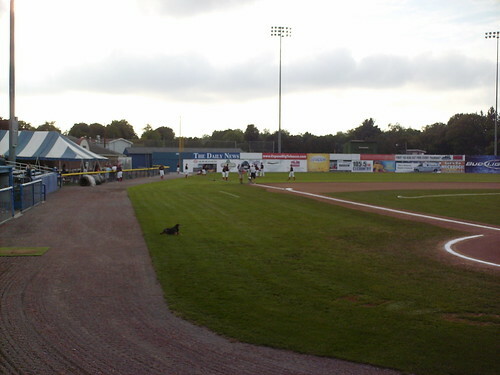 The grandstand was rebuilt in 1996, but the field has been in continuous use since 1939. 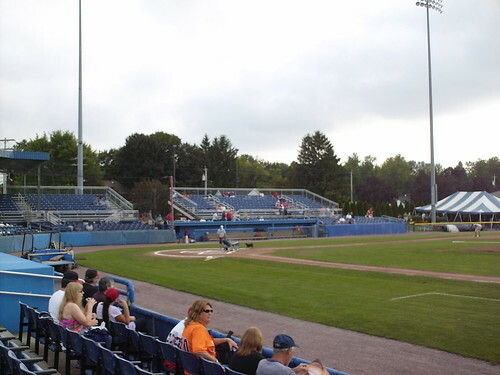 Bleacher seating down the third base line. 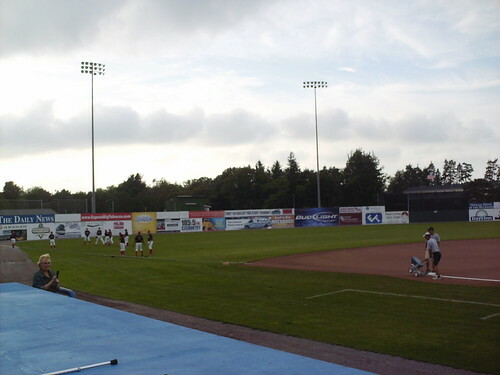 There are identical bleachers on the first base side. A live dog (a Muckdog?) 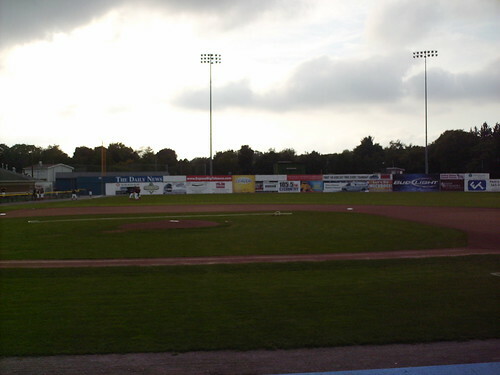 mascot hangs out on the field before and after a game. 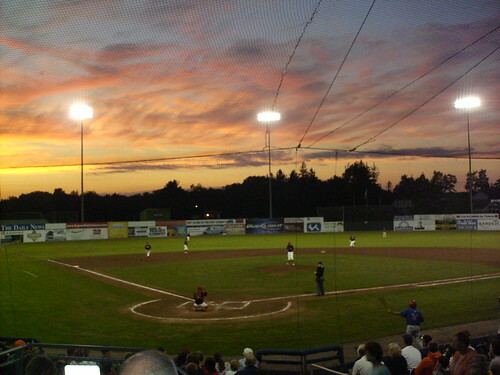 The sun sets over the Batavia Muckdogs on the field at Dwyer Stadium.